I am fortunate that I don't really get pimples - just a couple in really odd places when I'm about to get my period. I have tried many blackhead eliminating products but none of them really worked, exfoliating also doesn't help much. The only solution really was to get a facial and have them pricked (ouch!) I really hate the painful contrast of pricking against the nice facial massage that comes beforehand...it's also quite pricey. 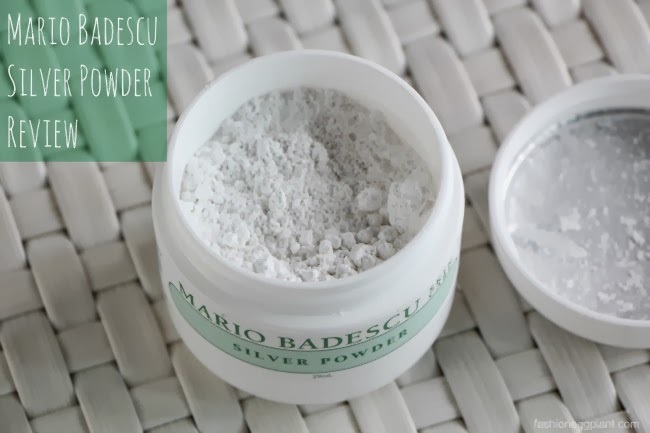 Mario Badescu's Silver powder is pretty affordable at just P745 for a large 29ml pot. You get a lot of product for your money that will last you a long, long time. Key ingredients are Calcium Carbonate, Kaolin and Zinc Oxide. Yup, just 3, isn't that refreshing? No lengthy list of chemicals we don't understand. How it works: dip a wet cotton ball into the powder, leave for 10 minutes and remove with a toner. Alternate method: Put a little bit of the powder in a separate container and mix in with a little water. The consistency should be that of clay/plaster. Apply mixture onto problem areas of your face (ie. 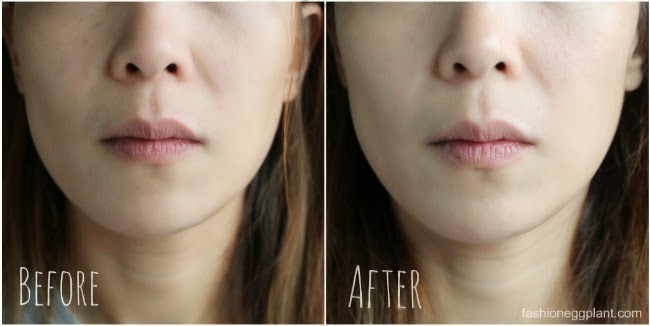 where you have excessive oil, clogged pores and blackheads) and wait 10 minutes. If you have a severe blackhead/acne problem, continue to use twice a week until all traces are gone then treat as a maintenance product and re-apply as needed. Some people even use it as mask or add a drop of tea tree oil to the mixture and leave overnight. 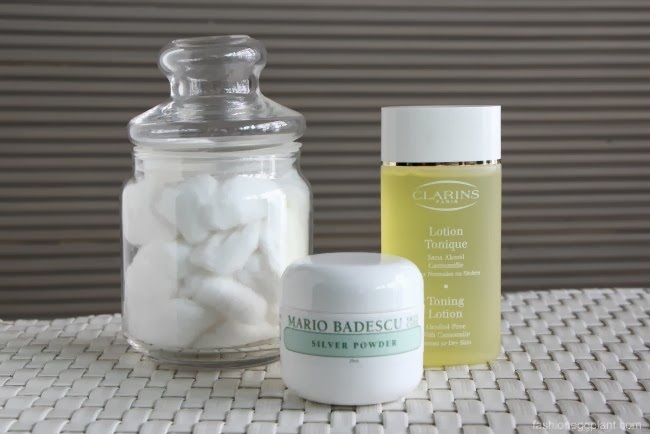 Mario Badescu's Silver Powder worked miracles on my skin, it was also non-drying even on areas of my face that weren't particularly oily (as you can see in the photo I applied it to most of my face). There was no negative reaction either. I highly recommend it and hope it works for you too! The packaging also allows you to split the product between friends/sisters so I think that's another plus because it means that you can also split the cost. Mario Badescu is available at the Beauty Source of all Rustans Department Stores nationwide. ***all photos are unedited and taken at the exact same location with the exact same camera settings.